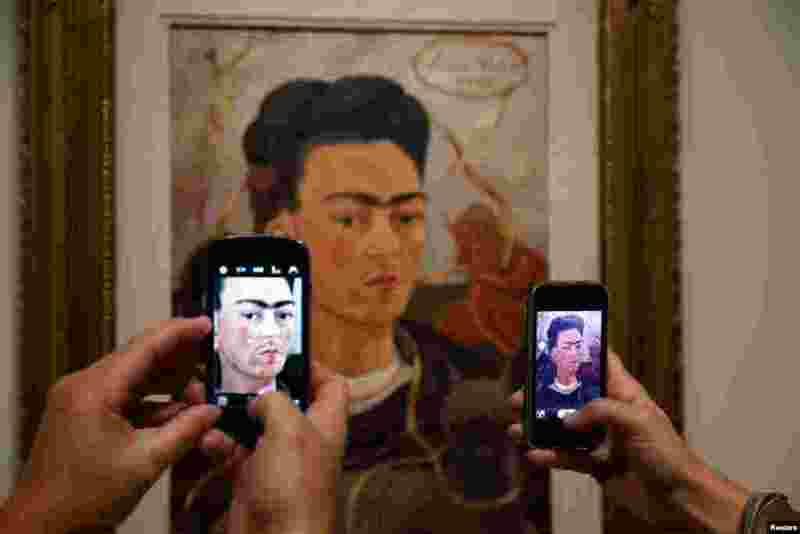 ۱ Visitors take pictures of the painting 'Autoportrait au Petit Singe' by Mexican artist Frida Kahlo (1907-1954) during the presentation of the exhibition 'Frida Kahlo/Diego Rivera, Art in Fusion' at the Musee de l'Orangerie in Paris, France. 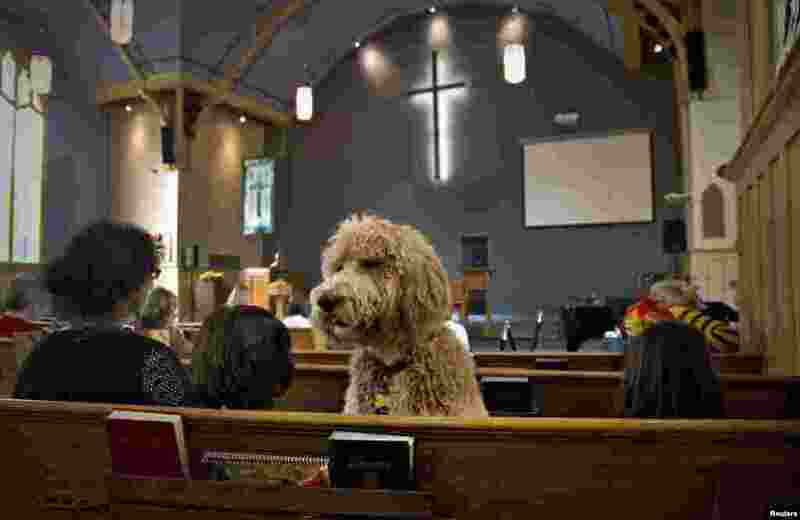 ۲ A dog named Luke sits in a pew at St. Andrew's United Church in North Vancouver, British Columbia, Canada, Oct. 6, 2013. 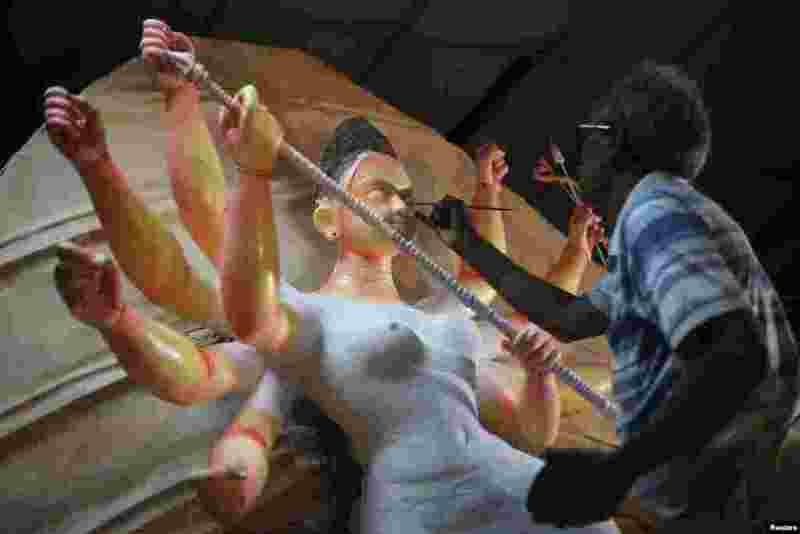 ۳ An artisan paints an idol of Hindu goddess Durga at a workshop in old Dhaka, Bangladesh. 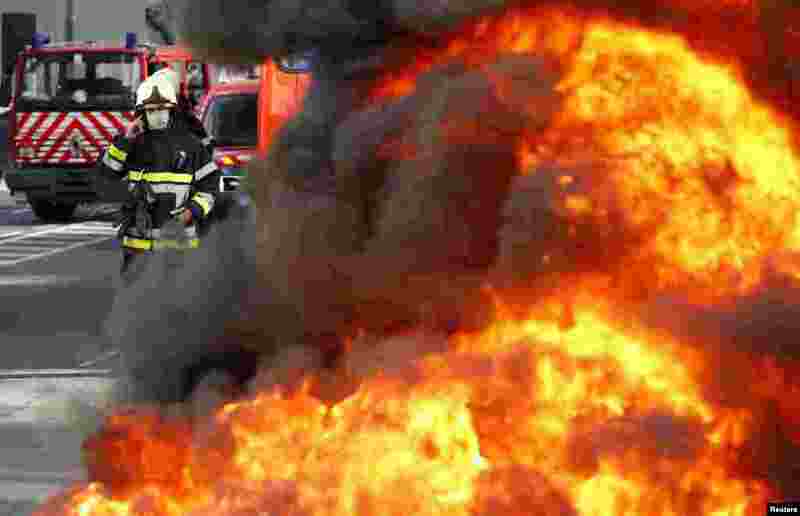 ۴ A Belgian firefighter stands behind burning tires as firemen protest for better work conditions in central Brussels. 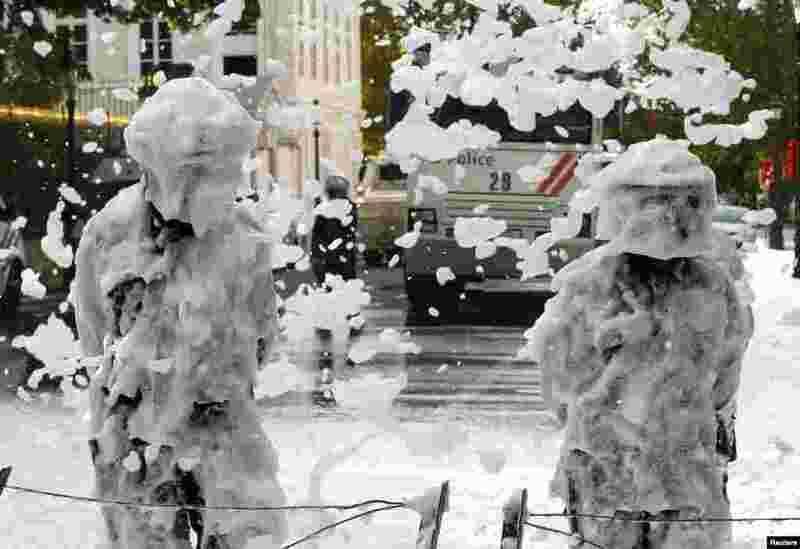 ۵ Belgian riot police stand as they are covered with foam sprayed by Belgian firefighters during a protest for better work conditions in central Brussels. 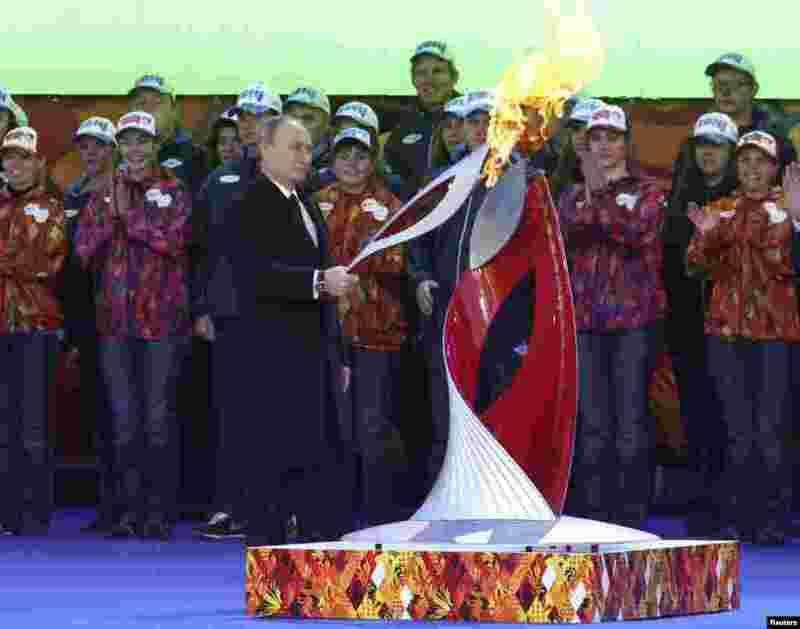 ۶ Russian President Vladimir Putin holds a lighted Olympic torch during a ceremony to mark the start of the Sochi 2014 Winter Olympic torch relay, Moscow, Oct. 6, 2013. 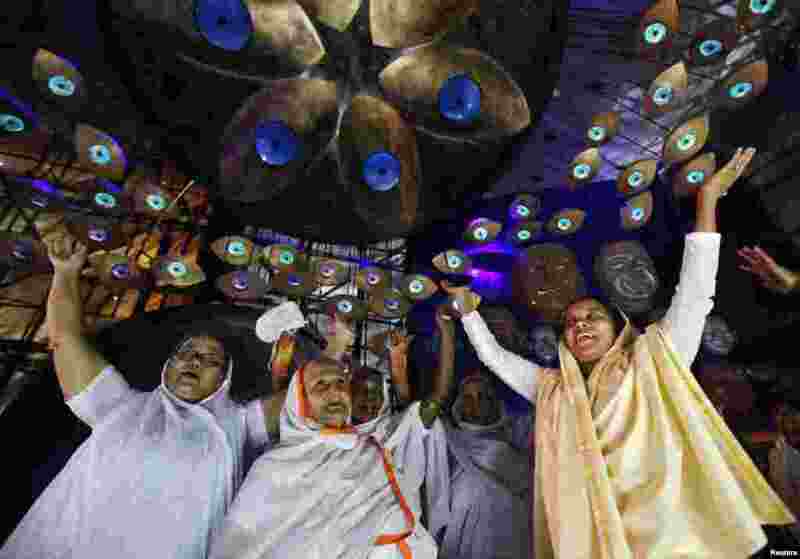 ۷ Widows sing and dance inside a marquee where an idol of Hindu goddess Durga is installed ahead of the Durga Puja festival in Kolkata, India. 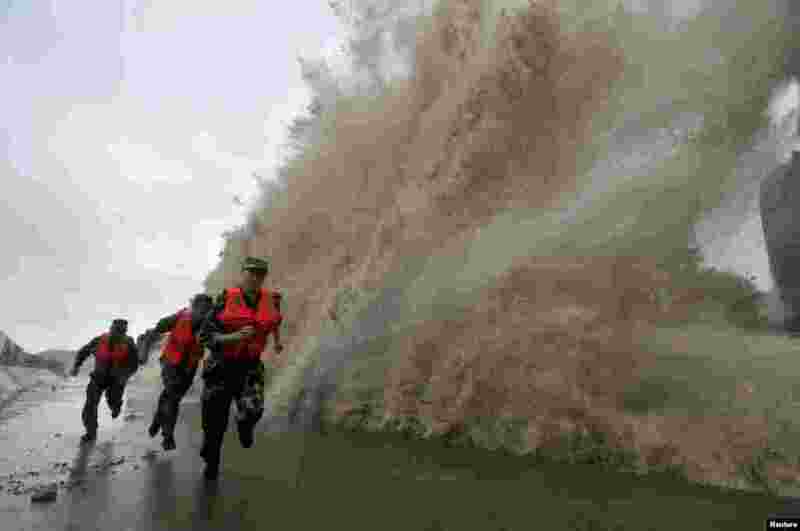 ۸ Frontier soldiers run as a storm surge hits the coastline under the influence of Typhoon Fitow in Wenling, Zhejiang province, China, Oct. 6, 2013.